A pergola, arbor, or arbour is a garden feature forming a shaded walkway, passageway, or sitting area of vertical posts or pillars that usually support cross-beams and a sturdy open lattice, often upon which woody vines are trained. Pergola construction is great as a type of gazebo, as an extension of a building, or to serve as protection for an open terrace or a link between pavilions. 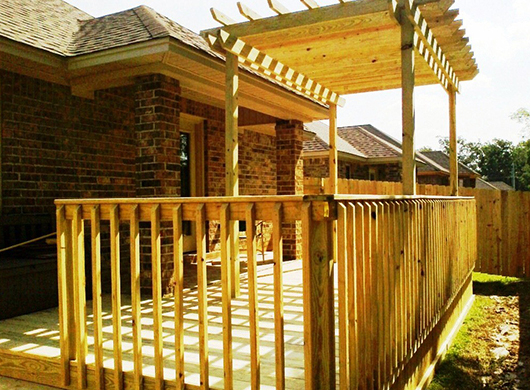 Contact the Ready Decks pergola builders nearest you to learn your pergola installation options.